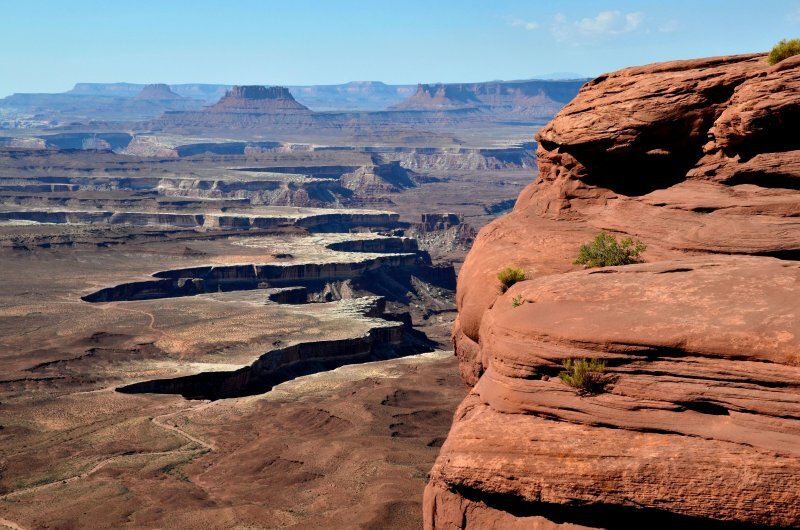 Love Canyonlands. Very nice capture. This is how I imagine the mountains of the moon. A fascinating and eerily beautiful landscape, with this layered background. Just as I remember. Amazing scene, David. A fabulous scenic of this incredibly beautiful stark landscape. I have been here and not many photographers can capture it as well as you have here. The composition really emphasizes the sandstone and canyons, V.
Fantastic POV. Very well seen & capture. Wonder, how many people will see the road down below? V.
Awesome is a much over used word these days but it applies here! This is a stunning capture,my friend! Well done..